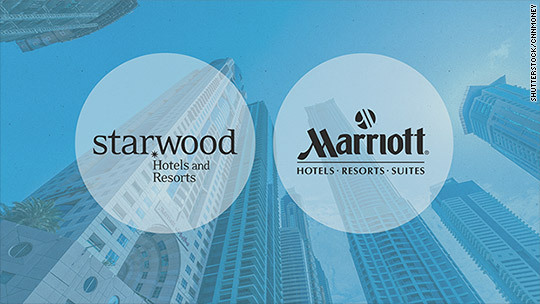 Marriott and Starwood have been in the news again recently. At first a new bidder emerged in the acquisition process for Starwood. Marriott responded and they enhanced their offer in response. This past week, Marriott started the process to harmonize the award programs by offering special member only rates at all the Marriott properties. 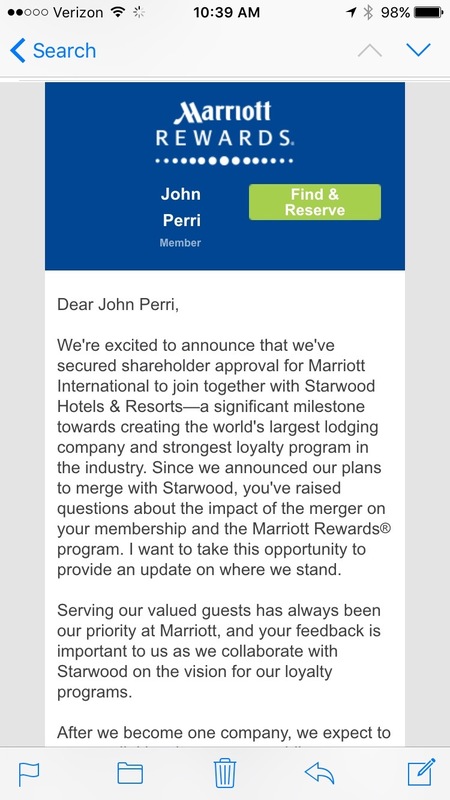 Marriott also sent an email to inform the members of their program that they secured shareholder approval for the acquisition. The email was a typical sounding acquisition type announcement explaining that they value all their existing customers and the acquisition will only bring about positive benefits for all. The email discussed that they are working with Starwood to harmonize the frequent flyer programs so that the benefits would be consistent. They did not go into detail regarding this harmonization. For someone that enjoys Starwood’s program, any harmonization to me sounds like it will be a reduction in benefits. For example Marriott requires a lot more stays per-year in order to qualify for Platinum. I can only imagine that the required number of stays for Starwood will go up. Perhaps what they will do is reduce Marriott’s required nights but increase Starwood to some level in between the two programs. It is still up in the air in terms of when any actual changes will occur. But the email was just a reminder that they are working on the acquisition and expect it to close next year. Starwood used to be my favorite brand; however, I shifted gears like many people after the announcement and moved to Hyatt based on their additional benefits for Diamond members. Marriott gains a lot more locations with the acquisition and they can cover many more cities. That is a slight disadvantage for Hyatt. To me Hyatt Hotels are located in nearly every major city, so that is all that matters. It is just in the smaller city locations where they lack a footprint. Did you receive the email from Marriott? What are your thoughts?